Corn Comments Podcast with Jim Woster. The world is constantly changing all around us, especially in the way we communicate. South Dakota Corn has embraced that change and is extremely active in the world of social media. We would like to encourage and challenge both farmers and consumers to connect with us through these mediums as we continue to provide news and updates about agriculture, South Dakota’s number one industry. 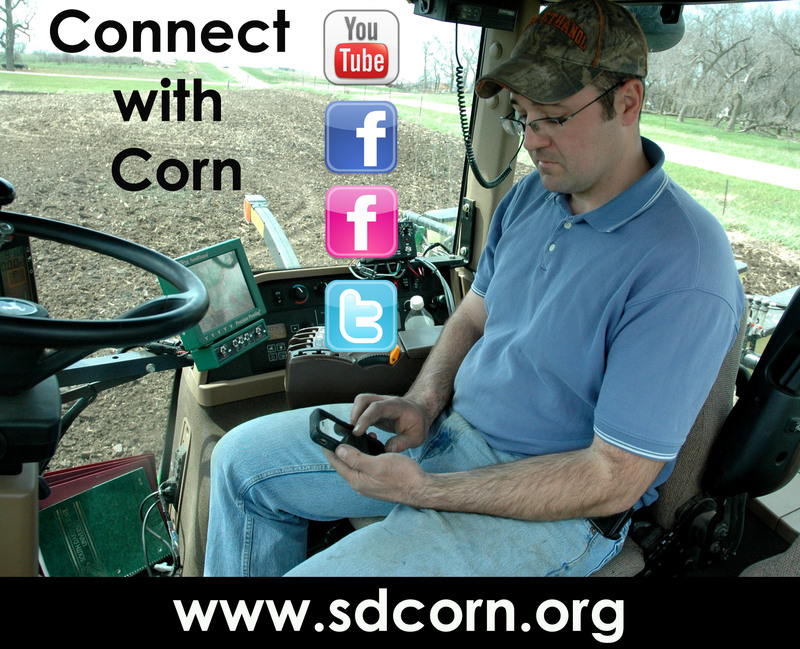 Agriculture employs tens of thousands of South Dakotans making the information we provide through social media more than just public interest. Whether it’s a video update from a corn field by Chester, a piece of legislation in D.C. or information about increased ethanol efficiency we’ve got you covered. This entry was posted in Corn Comments Podcast and tagged corn, Facebook, Flickr, social media, South Dakota, Twitter, YouTube.